Please find below a list of the international research centres. The Berkley Center at Georgetown University was created in the office of Georgetown's President, Dr. John J. DeGioia, in March 2006. The Center is designed to build on Georgetown's strengths: academic excellence; Washington, DC, location; international reach; and a Catholic and Jesuit tradition open to other faiths and the wider secular world. Generous support from William R. Berkley, a member of the University Board of Directors, has enabled the Center's rapid growth. Ethnicity is now seen as a major feature of the social structure, personal identity, transnational networks and political conflict across the world. It is seen by some as challenging existing social hierarchies and conceptions of citizenship, and by others as introducing a new tribalism and threatening democracy and economic development. Ethnicity and state structures, cultural pluralism and its institutionalism, the politics of multiculturalism and other forms of 'difference', including gendered ethnicity and ethno-religious identities, minority rights and human rights, challenges to secularism, the nation-state and other aspects of existing conceptions of citizenship. Ethnicity and socio-economic structures with a special focus on racialised exclusion, inter-generational poverty, labour markets, health, education, ethnic stratification and social mobility, ethnic competition and ethnic networks as a local, national and transnational economic resource. The Center for the Study of Religion at Princeton University is a major academic initiative that aims to encourage greater intellectual exchange and interdisciplinary scholarly studies about religion through diverse perspectives of the humanities and social sciences. Founded in 1999, the Center is committed to scholarly research and teaching that examines religion comparatively and empirically in its diverse historical and contemporary manifestations. The Center for the Study of Religion at the University of California, Los Angeles (UCLA) was established in June 1995 under the auspices of Dean Pauline Yu of the Humanities Division, in order to coordinate research and give a more visible campus presence to the study of religion. Current world developments continue to demonstrate the need for creating effective interdisciplinary institutions and approaches for rethinking the significance of the relations between religion and community. Moreover, we can anticipate that new strategies developed in the analysis of these religious phenomena will continue to result in fresh approaches to the study of culture in general. The growing need for understanding religion and culture in modern contexts as well as in ancient ones, urged scholars of UCLA to bridge the gap between public and academia and among the academic departments related to the study of religion. Thus, the Center grew out of an informally organised group of faculty and students interested in religion. The Centre for Law and Religion at Cardiff University was established in the summer of 1998 to promote research and its dissemination in this field. Its activities are carried out in relation to the theory and practice of substantive law concerning religion, the focus being principally upon religious law and national and international law affecting religion, with regard to their historical, theological, social, ecumenical and comparative contexts. The Käte Hamburger Kolleg Dynamics in the History of Religions, based at Ruhr-University Bochum, focuses on the formation and expansion of religions, the mutual permeation of religious traditions and their densifications into the complex figurations called 'world religions.' Regionally, the research covers these phenomena in Europe and Asia. The academic goal is to establish and test a typology of contacts of religions and an overarching theory regarding the transfer of religions. 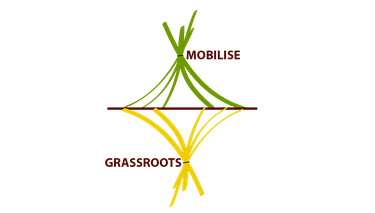 GRASSROOTSMOBILISE is a five year research programme based at the Hellenic Foundation for European and Foreign Policy (ELIAMEP), and funded by the European Research Council (ERC). The Principal Investigator is Effie Fokas. The programme studies grassroots level mobilisations 'in the shadow' of European Court of Human Rights religious freedoms jurisprudence. It examines the domestic impact of the ECtHR religion case law: it explores the mobilisation of local and national level actors in the wake of a number of high-profile ECtHR religious freedom cases in order to determine the nature and extent of European juridical influence on religious pluralism. In light of scholarly debates questioning the direct effects of courts, the programme probes developments that take place ‘in the shadow’ of the Court. It engages especially with the extent to which court decisions define the 'political opportunity structures' and the discursive frameworks within which citizens act. The Institute for Religion, Culture, and Public Life at Columbia University works to bring together scholars and students in religion, cultural anthropology, history, political science, economics, social psychology and other allied fields to sustain multi-disciplinary analysis, reflection and response to historical and contemporary issues that are of great significance. The Institute also engages political and economic figures and policy practitioners, as well as religious and cultural leaders, in its programs. The scope of the Institute encompasses a broad range of phenomena, but also focuses on questions relating to the role of difference, identity, and practice within larger national and international contexts. While seeking to understand the bases of conflict and unrest, it examines traditions, practices and historical examples that demonstrate the potential for understanding, tolerance and ecumenical values within religious traditions, as well as patterns of social institutions that may facilitate coexistence and mutual support. By taking an expansive rather than a restricted view of religious thought and practice, the Institute recasts the traditional opposition between the secular and the religious in ways that promote innovative approaches to familiar problems. Thinking futures is now widespread, fateful and problematic. Yet much futures research neglects the insights that social science, the arts and humanities, can offer. Lancaster’s Institute for Social Futures, co-directed by John Urry and Linda Woodhead, works innovatively across disciplinary boundaries linking science, social science and humanities to examine what futures might develop within key domains of human/material activity. Baylor University established the J. M. Dawson Institute of Church-State Studies in 1957, so named in honor of an outstanding alumnus, distinguished author, and ardent advocate of religious liberty and the separation of church and state. The Institute is the oldest and most well established facility of its kind located in a university setting. It is exclusively devoted to research in the broad area of religion, politics, and society and committed to the separation of church and state and the advancement of religious liberty around the world. The Centre for Religion, Conflict and the Public Domain explores, from various perspectives, the contentious role of religion in the public sphere in contemporary Western and global society. Combining theoretical and methodological approaches from history, philosophy, law, religious studies, theology and social and political science, the Centre engages in research that is particularly focused on the intersection of religion with Western culture, politics and society. Moving beyond secularist assumptions concerning the irrelevance of religion to the West, the Centre aims to provide critical, self-reflective insight regarding the role religion has played and continues to play in social, political, philosophical and legal contexts. The Leonard E. Greenberg Center for the Study of Religion in Public Life was established at Trinity College in 1996 to advance knowledge and understanding of the varied roles that religious movements, institutions, and ideas play in the contemporary world; to explore challenges posed by religious pluralism and tensions between religious and secular values; and to examine the influence of religion on politics, civic culture, family life, gender roles, and other issues in the United States and elsewhere in the world. The Institute is dedicated to the multi-disciplinary study of diversity in historical and contemporary societies, particularly concerning ethnic and religious forms and dynamics. 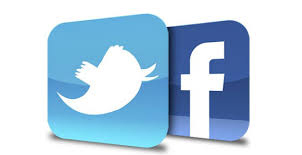 Such work entails basic empirical research aimed at theoretical development. Projects investigate multiple forms of diversity, how these have been shaped and defined, how they have been or could be governed, how different processes of inter-ethnic or inter-religious encounter unfold, how patterns and images of diversity change, and how relations between concepts of ethnicity and religion develop. Studies address migration-related contexts (in so-called migrant-sending, -transit and -receiving societies) as well as contexts long characterized by different kinds of diversity, such as in South Africa, the Balkans, India and Southeast Asia. The Pluralism Project: World Religions in America at Harvard University is a decade-long research project, with current funding from the Ford and Rockefeller Foundations, to engage students in studying the new religious diversity in the United States. We will explore particularly the communities and religious traditions of Asia and the Middle East that have become woven into the religious fabric of the United States in the past twenty-five years. RELMIN is an ERC research project mobilising an international team based at the Maison des Sciences de l’Homme Ange-Guépin in Nantes. It is directed by John Tolan, professor of History at the University of Nantes. 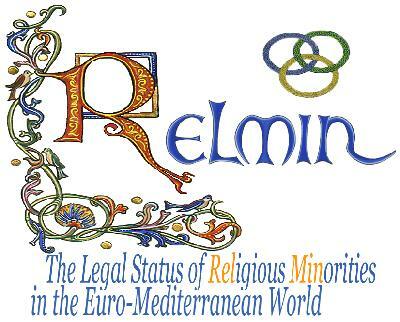 RELMIN collects, publishes and studies legal texts defining the status of religious minorities in pre-modern Europe, offering a wide-ranging outlook onto the debates in 21st century European societies, where increasing trends to secularisation as well as the simultaneous reaffirming of religious identities are potential sources of conflict. The World Religions & Spirituality Project (WRSP) was established in 2010 as a project of the Partnership for Understanding World Religions and Spirituality (PUWRS). The Religious Studies Program at Virginia Commonwealth University created PUWRS as a means of building bridges of understanding and cooperation among the world’s religious traditions and communities. The mission of the World Religions and Spirituality Project to reflect its broader mission of incorporating historical and contemporary religious and spiritual groups from around the world.